Creating with Allie: The Remarkable InkBig Blog Hop - Last call for Sale-a-Bration!! The Remarkable InkBig Blog Hop - Last call for Sale-a-Bration!! Hello Friends!! 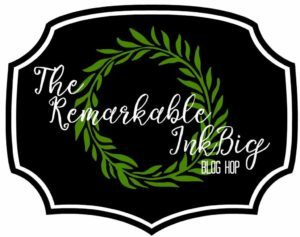 Today I am participating in the Remarkable InkBig Blog Hop for March 2018. 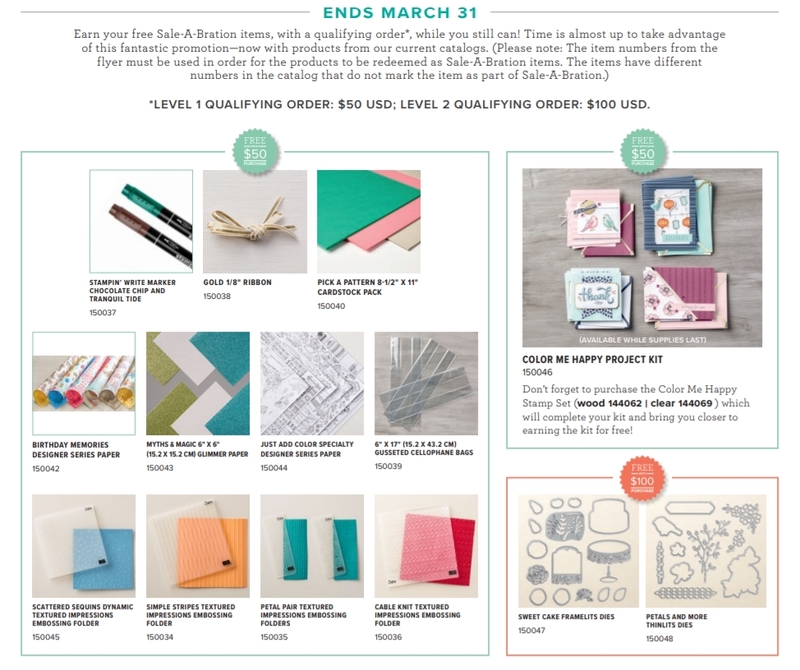 This month our theme is Last Call for Sale-a-Bration! You may just be starting the blog hop here at my blog – Alejandra Gomez - www.creatingwithallie.com or may have come from the person previous to me on the list. If you get off track at any time, the full lineup below will help you move along from blog to blog so you see all the projects. I am sure you will enjoy seeing all the projects we are sharing!! There are only two weeks left for sale-a-bration to end, I have loved all the products that we have been getting FREE during this time, don't you agree, this year's offering keeps getting better and better.. this week alone, Stampin' Up! released even more products for the last two weeks, so you can continue to get free items with your orders.. Anyway, I am sharing today some cards I made during my previous Facebook live, as I used the springtime foils designer series paper!! This designer series paper is absolutely fantastic!! all sheets have foil which that alone makes it gorgeous, but it also is a thicker paper and it looks like the glossy paper, coloring this paper with blends is super easy, though you will want to practice a little, as the surface is so smooth it feels somewhat different than coloring our regular cardstock. I also used the blooming basket bundle for this card, this is a bundle you get FREE when you purchase $100 in Stampin' Up! products, you can see the embossed texture from this bundle on my card front, and by the way, we are being told that this embossing folder will be available in the new catalog being released in June 2018! The flower on this card is actually a cut out flower from one of the sheets from the springtime foils designer series paper, and I used the calypso coral, daffodil delight and old olive blends to color it.. and of course I used the shimmer ribbon pack as well, the calypso coral shimmer ribbon is one of the colors you get for FREE on the shimmer ribbon pack from Sale-a-bration.. Like I said all there are a lot of great products being offered in Sale-a-bration.. if you have not taken advantage of this promotion, don't let it pass.. we are in the last two weeks of this promotion.. In the following pictures you can see a close up of the details on the flower, you can see more of the foil lines on this paper pack!! this is truly one of my favorites items!! I love that you get kind of a watercolor look with the stampin' blend on this paper, this designer series paper has a glossy texture, so coloring with the stampin' blends is slightly different, yet super easy to do. The second card uses as well the springtime foils designer series paper, on this card I colored all the leaves with the old olive stampin' blends!! i love the look on this card, and it is also another quick and easy card to put together... Coloring is so relaxing.. The final card is using as well the springtime foils designer series paper, I truly think that this paper pack makes your card making projects go really quick and easy and you will get fabulous projects in no time! I cut out another of the flowers from one of the sheets and colored it with Pink Pirouette and Calypso Coral, since we don't have Flirty Flamingo on the Stampin' Blends, I feel like this turned out pretty well and good color combination..
You can watch the video where I show how to make all these cards, I go over measurements and other tips on this video.. it is lengthy as I made all three cards on this video.. hope you enjoy.. Thanks for taking part in our blog hop, there are so many amazing ideas and inspiration you don’t want to miss. Remember that currently, you are on my blog – Alejandra Gomez - www.creatingwithallie.com, so check the blog hop line up list to see who is next on the list. Sale-a-bration brochure! Please see below the items you can get FREE!! remember there were NEW items added this week!!! Stunning card, this basket embossing folder is awesome. Looking forward to getting mine soon.